The Qpoint External Quality Assessment Scheme (EQAS) was formed in 2005 by laboratory professionals working within the NHS. We recognised the need for a user friendly scheme that would actively help non-laboratory healthcare professionals and patients at home ensure that their Point of Care Testing (POCT) devices give acceptable results. EQA is a familiar concept to laboratory professionals, who have been using it for over 40 years to help assure the quality of their test results. If you send a specimen to a hospital laboratory for testing you always expect to obtain the correct result and this should be no different for testing that is carried out at the point of patient care. Although the same quality standards apply, we recognise that the EQA format required by non-laboratory personnel operating POCT devices is fundamentally different to that required by trained laboratory staff. The Qpoint EQAS has therefore been specifically designed with bespoke software so that our reports are easy to understand. We want to give participants confidence in their POCT devices and help them resolve any problems whilst educating along the way. We work closely with the POCT device manufacturers yet remain totally independent. Qpoint operates within Berkshire and Surrey Pathology Services at Frimley Park Hospital and from the POCT Laboratory at Aldershot Centre for Health, Hampshire. The professional advisory structure for Qpoint is a steering committee consisting of laboratory professionals, scheme participants and a representative from the National Quality Assurance Advisory Panel. Kerry has worked within the NHS for over 30 years and has a background in both medical research and routine Clinical Biochemistry. 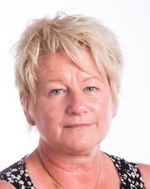 In 1986 Kerry was involved in setting up one of the first EQA Schemes for blood glucose meters in the UK and has continued to apply her expertise in this area ever since. 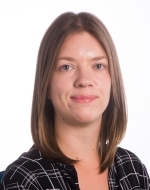 Kerry is employed as a Consultant Clinical Scientist at Berkshire and Surrey Pathology Services where she is the Specialty Lead for Point of Care Testing across 4 NHS Foundation Trusts. Glenda has worked in the NHS for over 30 years. She started her career as a multi-disciplinary Biomedical Scientist and progressed to specialise in Microbiology. She is currently Point of Care Testing Manager and during her time in this role, has developed a firm understanding of the challenges of EQA provision for POCT devices. Glenda finds enjoyment working closely with her point of care clients, empowering them to achieve the best practise approach in their field. David has worked within the NHS as a Health and Care Professions Council registered Biomedical Scientist since 2003. He specialised in Clinical Biochemistry but his firm belief in the benefit of point of care testing, has directed his career towards this speciality. 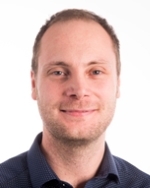 David joined the Qpoint team in January 2016 and is eager to apply his background knowledge and laboratory experience to both the service development and quality management aspects of the scheme. 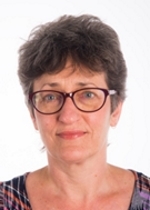 Jane has worked within BSPS for 20 years, 15 of which as a senior member of the POCT Team, enabling her to develop in-depth knowledge of many POCT devices and their EQA requirements. 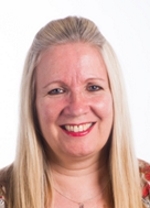 Jane has gone on to specialise in the operational aspects of EQAS provision, is heavily involved in service development and has honed her customer service skills to ensure that the support Qpoint offers to participants is second to none. 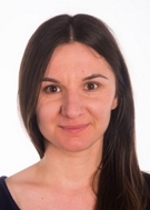 Anna has been working within Berkshire and Surrey Pathology Services since 2012. During this time she has gained experience within both Qpoint and the Point of Care Testing Team. Anna’s laboratory experience and passion for the technical aspects of her role puts her in a great position to answer participant queries about the scheme and the devices they use. 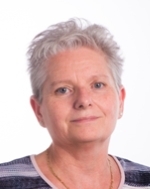 Sally has worked within Berkshire and Surrey Pathology Services for 10 years and has considerable experience in pathology data entry and customer service. Sally's organisational skills ensure that the Qpoint office always runs efficiently and that our target response times for dealing with participant queries are met. Sally will often be found manning the Qpoint phones or responding to your emails. Sarah-Jane has over 15 years experience within the NHS. She began her career with a laboratory based role as a Medical Technical Officer but quickly evolved this position to include Quality Management. Sarah-Jane's potential was soon noticed and she currently works as Quality Manager for the 3 EQA providers within Berkshire and Surrey Pathology Services. Her job is to align the schemes to ISO 17043 and maximise the quality of service provided to participants.